From Scotland to Taiwan and Bolivia to the Philippines, the First Presidency has called eight new mission presidents and their wives to serve in missions throughout the world. The following new mission presidents and their wives have been called by the First Presidency. They will begin their service in July of 2018. 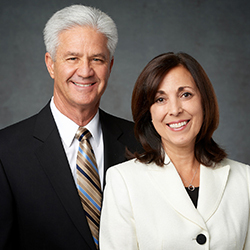 Biographies of other mission presidency couples will be published throughout 2018 on news.lds.org. Find other published biographies. Juan Carlos Borja, 51, and Patricia Zorka Leaño de Borja, three children, Niza Ward, Bogotá Colombia Stake: Bolivia La Paz El Alto Mission, succeeding President Juan R. Ocampo González and Sister Teresa Torales de Ocampo. Brother Borja is a former bishop, stake Young Men presidency counselor, ward Young Men president, ward mission leader, and missionary in the Colombia Cali Mission. Born in Venadillo, Tolima, Colombia, to Alvaro Borja Cadena and Mireya Leal Valderrama. Sister Borja is a former ward Relief Society president, stake Young Women and Primary president, Sunday School teacher, and missionary in the Bolivia Cochabamba Mission. 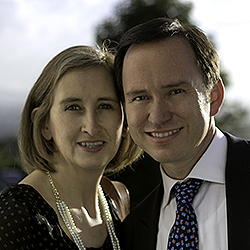 Born in La Paz, Bolivia, to Jorge Mario Leaño Rodriguez and Zorka Leaño Fadic. Steven Gregg Caplin, 59, and Toni Brooks Caplin, three children, Red Cliffs 7th Branch (American Sign Language), St. George Utah Red Cliffs Stake: Washington DC South Mission, succeeding President David H. Huntsman and Sister Michelle R. Huntsman. Brother Caplin serves as a temple sealer and is a former bishop, branch president, high councilor, stake Young Men presidency counselor, bishopric counselor, and missionary in the Texas Dallas Mission. Born in Miami, Florida, to Harvey Caplin and Betty Holloway Caplin. Sister Caplin serves as a temple ordinance worker and stake organist and is a former stake Young Women presidency counselor; ward Relief Society, Primary, and Young Women president; and ward organist. Born in St. George, Utah, to Paul Walter Brooks and Linda Bennett Brooks.